As many of you may know I don’t only work in the studio. I also work live sound for large scale concerts. It’s a lot of fun! It’s one of the most rewarding gigs as well because you meet so many people and amazing musicians. Through Live Sound I’ve gotten to work with Judah and The Lion, AJR, Molly Hatchet, Little River Band, Hey Violet, Casting Crowns, Toby Mac, and many many many more amazing artist. I have a “Pelican”, which is a sort of “Audio Engineers Briefcase”. And it’s filled with all kinds of tools for large scale events like a soldering iron, a quick simple audio interface, cable tester, wire strippers, etc. There are three tools in my pelican that I simply couldn’t live without whether it’s a large scale music festival or a small gig at a club venue. 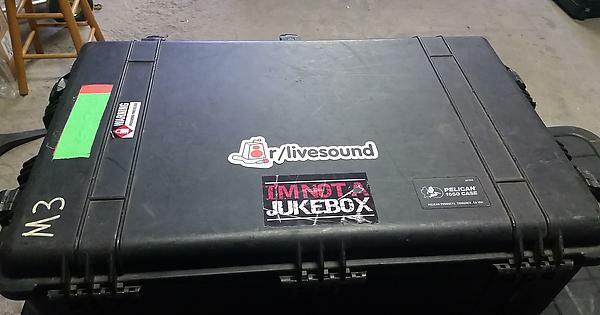 I recommend everyone wanting to get into professional live sound gets themselves a backpack, briefcase, bag, or Pelican with these items in it. The first and most important accessory piece of equipment is Tape. There are many different kinds of tape but there are primarily two different kinds I use on every job. The first kind of tape is Gaffer Tape. Gaffer Tape is a strong tape similar to Duct Tape however it’s adhesive is more respectful to delicate items such as cables and it doesn’t leave residue once you rip it off. It ‘s great for taping down cables so people do not trip, or taping lights to a stand. The second kind of tape I use is called “Spike” tape. Spike is phenomenal. is nice and skinny and has a rougher surface. It is PERFECT for labeling equipment. It also doesn’t leave hardly any residue. Partnered with a sharpie, Spike tape is absolutely an essential tool in my everyday gig. You ever pinch your hand on a road case or get too much dirt and grime from wrapping cables on an outdoor gig? Every sound guy needs to have a pair of gloves. Gloves not only keep you warm and give your hand a better grip on equipment they also prevent your hand from getting seriously injured from any hard or metal surfaces and objects. Now I’m not talking about winter gloves, obviously. I’m talking about workman’s gloves. There are a lot of different brands of work gloves but the ones I use in particularly, which were recommended to me by Nicholas Radina, touring monitor engineer for OAR, are Mechanix Wear gloves. You can slap your hand against metal edges with these gloves and feel fine. Highly recommended by myself! They will prevent your hands from being pinched and keep them warm! In my Pelican, I mentioned earlier, I have a lot of adaptors. 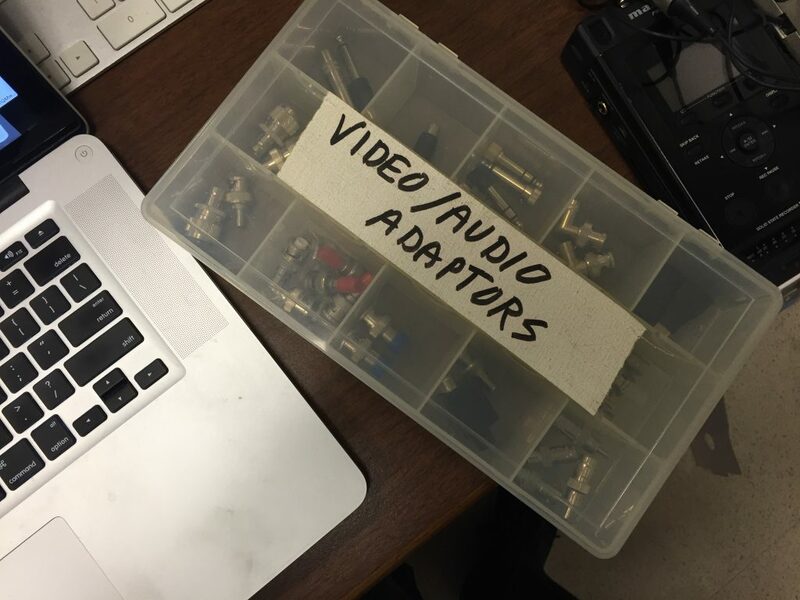 Adaptors are your secret weapon to save the day! They make the world go round! Some essential adpators I use and find to be particularly helpful are male and female “XLR Turnarounds”, 1/8″ to dual 1/4″, male and female TRS to XLR Adaptors. I have many more that these ones I have mentioned but these are ones I always feel confident about having on gigs. The XLR Turnarounds are essential when you have to improvise an extra channel on a snake. For example, I just did a show with David Liebman and The venue had a 16 input and 8 output snake. 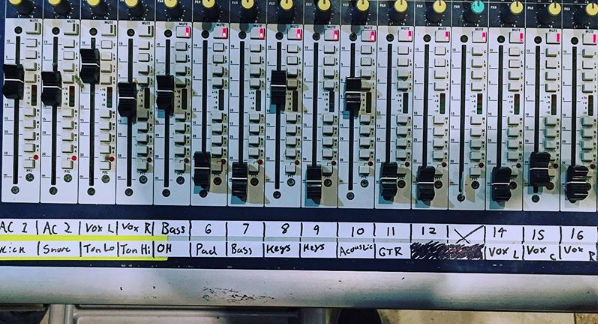 The band needed exactly 17 channels. I was able to salvage a 17th channel by using one of the unused outputs. I simply used a male XLR turnaround to plug one of the snakes output patches into the mixing console and then at the box end of the snake I used a female turnaround in order to put a microphone into the corresponding snake output. So I essentially ran that part of the snake backwards. The 1/8″ to Dual 1/4″ lets you easily plug a phone or computer with a headphone jack into a direct box or mixer for background music. The TRS Adaptors just come in handy in many moments when you are sharing equipment for a gig, especially when it comes to a group providing their own in ear monitors. Sometimes TRS adaptors are also good for when a musician doesn’t have their own cables for the outputs of some of their instruments. I hope this helps! Definitely check out these tools and accessories if you want to work in live sound and be prepared for whatever the gig throws at you. Which can be a lot sometimes!